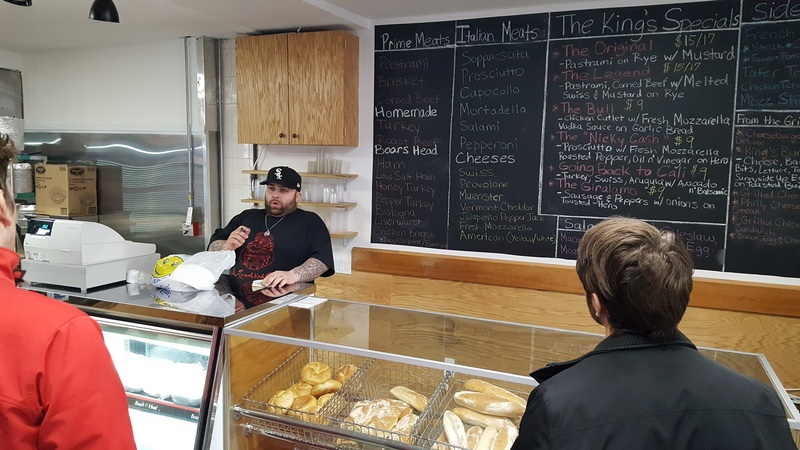 The Sandwich King on Vernon Boulevard has finally opened, 2019 will be a good year. In an about-face of the current fast-casual trend, it’s cash only for the time being. Long Live The King! 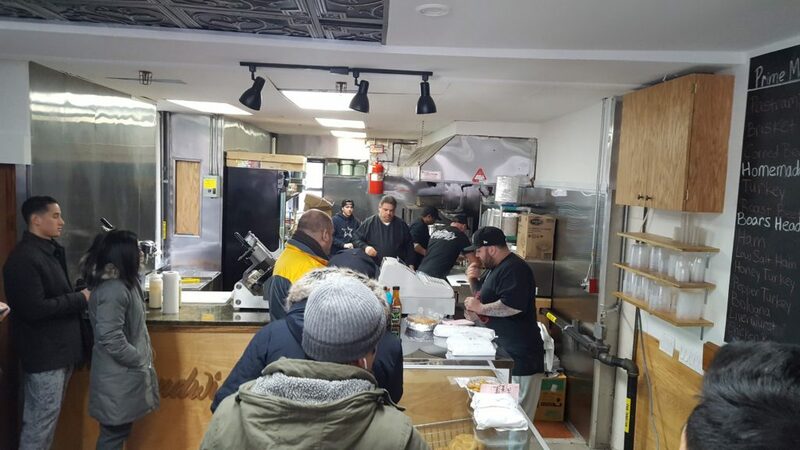 Update: spoke w/ the owner Nick Giovanniello this evening, who’s thrilled at the reception the restaurant received since it opened this past Thursday, It’s been a little overwhelming but they should be running smoothly by the end of the week and plan on serving breakfast and doing delivery in the next week or two, or maybe three. Oh, by mid-week they’ll also be taking credit cards – at which time you’ll be welcome to order the whole left side of the menu. The menu looks like anything you could order at any one of the delis on Vernon… Probably for cheaper too. Fun Fact: Virtually all (all?) of the soft drink inventory is expired. My girlfriend and I got sandwiches, sides and drinks today and our sodas apparently went bad in July and August of 2018. And while soda doesn’t really spoil, it sure does go flat. The sandwiches were okay but pretty overpriced considering they weren’t all that special. I went in last night and didn’t find it that expensive $7 for tuna salad on a hero that’s probably 12+ inches. They’re definitely still working the kinks out, but hopefully get a flow shortly. – Roast beef could be a bit juicier.